Dear Premier Rachel Notley; I am writing you this open letter to defend myself against your attack on me personally and professionally. What is the evidentiary basis behind your characterization of my academic work as “repulsive, offensive and not reflective of Alberta”? Why have you decided to set yourself up, Premier Notley, as some sort of arbitrator of what scholarly work in Alberta universities meets the criteria of being “reflective of Alberta”? Is your opinion about what is or is not reflective of Alberta to become a new test of how curriculum will be created and how faculty members will be chosen in this province? Since I began teaching in the Department of Native American Studies at the University of Lethbridge in 1990, I have never once seen in a student evaluation that reflects the kind of accusations you are pressing publicly on me. How is it you think you know more about me, including and what goes on in my classroom, than my own students? After a year and a half of being subject to a ruthless trial-by-media, a new process is only now being initiated that from my perspective allows me to come forward for the first time to tell my side of the story before an investigating tribunal operating within the terms of our collective agreement. The process is going forward because of a court contestation that the U of L Board of Governors lost due to its unwillingness to adhere to the laws of labour relations in Alberta. Whose advice was the Board depending on when its members put themselves in such an untenable position? 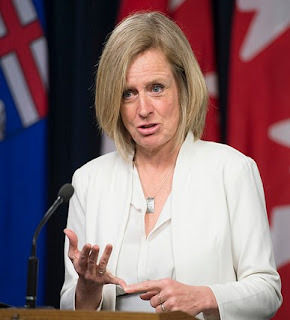 Before we have even started the process that has come about because of the determined stand of the University of Lethbridge Faculty Association (ULFA) and the Canadian Association of University Teachers (CAUT), you, Premier Notley, chose to inject a politicized salvo into the onslaught of vituperation against me that began on Aug. 26 of 2016. One of the core points I intend to bring forward in my self- defense in the forthcoming process, is to describe the mounting of a negative media campaign against me based on the atrocious contents of a maliciously-engineered Facebook post. According to B’nai Brith Canada, the core agency in orchestrating this media deception, the post appeared on, and then disappeared from, my Facebook wall during an interval of a few hours on Aug. 26, 2016. I did not invite this digital item onto my Facebook wall. I did not sanction its abhorrent contents. In fact I condemned the post’s contents publicly in mid-Sept. when I first became aware of the digital item and the way that it was being deployed to destroy my reputation. Perhaps the people who lied to you about me in late August of 2016 are still holding you captive in terms of filtering the information that has caused you to think whatever it is you believe you know about me. The President of the University of Lethbridge, Dr. Michael J. Mahon, went along with the Facebook deception to suspend this tenured full professor on Oct. 3 and 4, 2016. I was pulled from the classroom in mid-term and banned from stepping foot on campus. This purge took place entirely outside the terms of the collective agreement between the university’s faculty and administration. This suspension initially without pay essentially declared me guilty until proven innocent. Severe punitive measures were imposed on me all without even an ounce of adjudication by a neutral third-party. From the correspondence I have been receiving from all over the world, I can say my suspension quickly became a shot heard throughout the global academic realm, a shot signaling that an Albertan university is leading an attack on the institutions of tenure, peer review and academic freedom. What is your view, Premier Notley, of the condemnation directed at the new NDP federal leader, Jagmeet Singh, when B’nai Brith Canada took aim at him for intervening to provide a venue at the Ontario provincial legislature for a presentation by academic advocates of the rights of educator Nadia Shoufani. The condemnation came in late Augusts of 2016 when Mr. Singh was MLA for the riding of Bramalea-Gore-Malton and Deputy Leader of the Ontario NDP. Now in Feb. of 2018 B’nai Brith Canada has resumed its efforts to quarterback the NDP, lobbying aggressively to stop a resolution from being put on the floor of the recent NDP convention. The vote, neverthess, was close, 189 for putting the resolution forward and 200 for sidelining it. The resolution included provisions on a Canadian boycott against products produced in the illegal Israeli settlements in the Occupied West Bank. You have identified yourself and your government, Premier Notley, with notorious enemies of academic freedom who brought forward during the 50th anniversary of York University all sorts of false allegations much like those I am facing now. This fiasco unfolded when B’nai Brith Canada, the CIJA, the Canadian Jewish Congress and the Jewish Defence League tried to shut down an academic conference on Israel/ Palestine at York University in 2009. In 2018 in Alberta the equation is very different. The President and Board of University of Lethbridge have adopted the position of the Israel lobby. Now Premier Notley, you have intervened to strengthen this political coalition favouring the stiffling of free and open debate at Alberta universities. Please consider revisiting you provocative and intellectually bankrupt position on this matter.